By carefully breaking and opening a sprouting coconut, you will find what is called coconut apple. Coconut apple is delicate spongy mass with slight sweetness and pleasant coconut aroma. Ligthly scrub the coconut apple if required. Skin has all the texture and flavor, so make sure not to scrape deep. This coconut apple can be eaten fresh as is or can be chopped and sprinkled with sugar crystals. Notes: Make sure not to store this coconut apple more than a day or two in refrigerator. 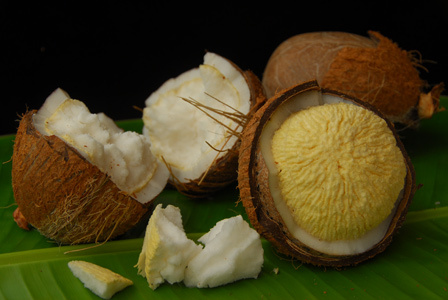 Suggestions: If the broken coconut has a very hard mass instead of soft spongy matter, the coconut might be too old and the sapling has absorbed all the juices. If there is a very small coconut apple instead of a fully formed coconut apple, the coconut might be too young for it has to develop the coconut apple. Variations: You can also caramalize the coconut apple with few tbsps of sugar if you wish. Other Names: Kobbari Puvvu, Coconut Apple. Plantain Flower can be cooked in various ways. This is the simplest of all but with a slight bitterness. Plantain flower is finely chopped and boiled with tamarind till soft. 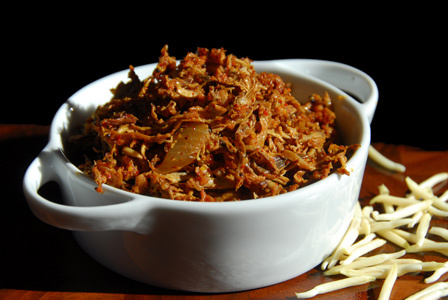 It is then sauteed with onion, green chillies and fenugreek seeds or it is sauteed with onion and finished with mustard seeds and red chile powder. Peel, remove ends and chop the onion. Remove stems, deseed and tear the dried red chiles. Grind mustard seeds and red chiles into fine powder with a pinch of salt. Remove leaves and collect all the individual flowers of banana flower. Discard the transparent outer covering and pistil of each flower except for young ones. Check this picture to help understand. Wash the prepared flowers along with young ones under running water and finely chop them (about 1 1/2 Cups). Heat half a cup of water in a sauce pot, add chopped plantain flower, tamarind and turmeric powder. Boil till the flowers turn soft. Remove from heat, discard the tamarind and strain the flowers. When mustard seeds stop spluttering, add onion and fry till translucent. Then stir in cooked plantain flowers and salt. Fry for a minute or two and add mustard seeds red chile powder. Stir and serve plantain flower fry with steamed rice and ghee. Notes: Make sure plantain flowers are thoroughly cooked before adding to the fry. Don’t overfry after adding mustard powder. Suggestions: If plantain flower fry is too raw, put back on stove, sprinkle water and cook covered till soft. If mustard seeds powder is added and then cooked, the dish turns much bitter. Variations: Vazhaipoo Paruppu Usli, Plantain Flower Fritters, Plantain Flower Rice. Other Names: Stir Fried Plantain Flower, Arati Puvvu Vepudu. Plantain trees are abundant in south India, so are plantain flowers and plantain shoots. Food that is minced is called keema. 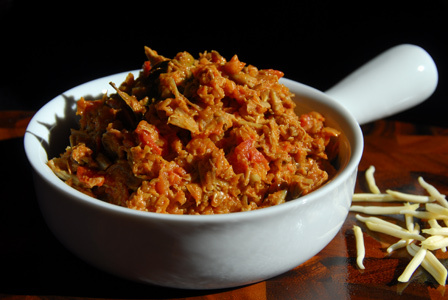 Plantain flower is chopped finely and cooked with onion and tomato along with various spices to obtain a slightly wet curry called plantain flower keema. Wash and finely chop tomato. The chopped flowers can be boiled in half a cup of water and pinch of turmeric powder for 10 minutes or until flowers become soft. Heat oil in a deep pan, add fennel seeds, cinnamon, cloves, cardamom, poppy seeds and bay leaf. Poppy seeds splutter vigorously, so cover the pan with a splatter screen. Once fennel seeds become aromatic, add finely chopped onion and salt. When onion turns translucent, add ginger garlic paste, chopped tomatoes and finely chopped plantain flowers. Stir fry for a minute and pour a cup of water. Keep covered on low flame till plantain flowers get cooked and turn soft. Add more water if required and stir in garam masala powder, red chile powder and turmeric powder. Cook uncovered till most of the moisture is gone and then remove from heat. 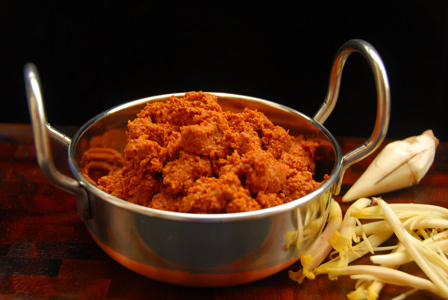 Serve plantain flower kheema with plain steamed rice or roti. Notes: Make sure plantain flower is cooked before removing from heat. Suggestions: If the curry feels little raw, add more water and cook on low flame covered till done. Other Names: Vazhaipoo Kheema, Plantain Flower Keema. Peel more than half of the petals from the plantain flower. Check this to see how to remove hard stem and hard covering of each flower. Chop the prepared flowers roughly (around 2 cups). Apply salt and leave for 10 minutes. Then refresh under cold water and squeeze off the excess water. Heat tsp of oil in a pan, add plantain flowers and fry for a minute or two. Peel and roughly chop garlic pods. Dry roast red gram on low heat until golden brown. Heat a tsp of oil in a pan, add broken dried red chillies and roast them until aromatic. Grind toor dal and red chiles into powder. Then add plantain flowers, cumin seeds, garlic cloves and salt. Add sufficient amount of water and blend everything together into tight mixture. 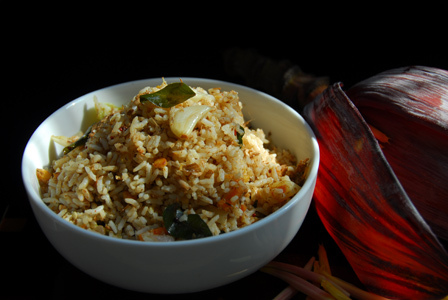 Serve with rice and ghee. Notes: Make sure not to burn any spices while roasting. Peel and lightly mash garlic. Wash, peel and finely chop potato. Peel, remove ends, wash and finely chop carrot. Soak tamarind in half a cup of water for few minutes and extract all the juice. Pressure cook rice in 4 cups of water until fluffy. Finely chop the prepared flowers or coarsely grind them. Apply salt, turmeric powder and leave for 5 – 10 minutes. Then refresh the chopped plantain flower under cold water, squeeze off the excess water and reserve for later use. Heat oil in a pan, add all talimpu ingredients in order along with mashed garlic. When mustard seeds start spluttering, add chopped green chiles, onion, potato and carrot. Once vegetables cook a bit, stir in reserved plantain flower and tamarind extract. Cook covered for a minute and stir in steamed rice, roasted coriander powder and ghee. Notes: Make sure to prepare the plantain flower right else it turns bitter.